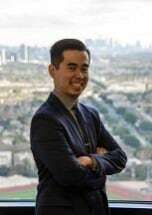 Dat Tommy Phan joined Hennig Ruiz in September 2017, and serves as an associate attorney. Dat represents employees in disputes involving wage and hour violations, misclassification, sexual harassment, disability discrimination, sexual orientation discrimination, race discrimination, whistleblower retaliation, failure to accommodate violations, and civil rights. Dat also represents employees in class actions against their employers. Prior to joining the firm, Dat was a Community Economic Development Fellow at Public Counsel, the nation's largest pro bono law firm. At Public Counsel, he combined legal, policy, and land-use strategies to increase affordable housing and combat gentrification in Los Angeles County. He also provided free transactional legal services to low-income small businesses, childcare providers, and non-profits organizations. Dat is deeply committed to fighting for social and economic justice and protecting workers' rights. Prior to attending law school, he worked as a district field representative in the City of San Jose, representing a district with a large and vibrant immigrant and minority community. During law school, he worked as a summer associate for union-side law firm Weinberg, Roger & Rosenfeld, clerked for the National Labor Relations Board (Region 31), and externed for UNITE-HERE Local 11, a union representing hotel and restaurants workers in Southern California. Dat also served as a Discourse Editor for the UCLA Law Review and Chief Articles Editor for the Asian Pacific American Law Journal. Dat received his J.D. from UCLA School of Law in 2016 and a B.S. in Business Administration with minors in Public Policy and Asian American Studies from the University of California, Berkeley in 2011.